The Thing Is . 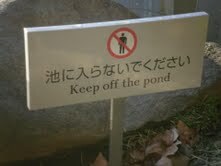 . .: Keep off the Pond!